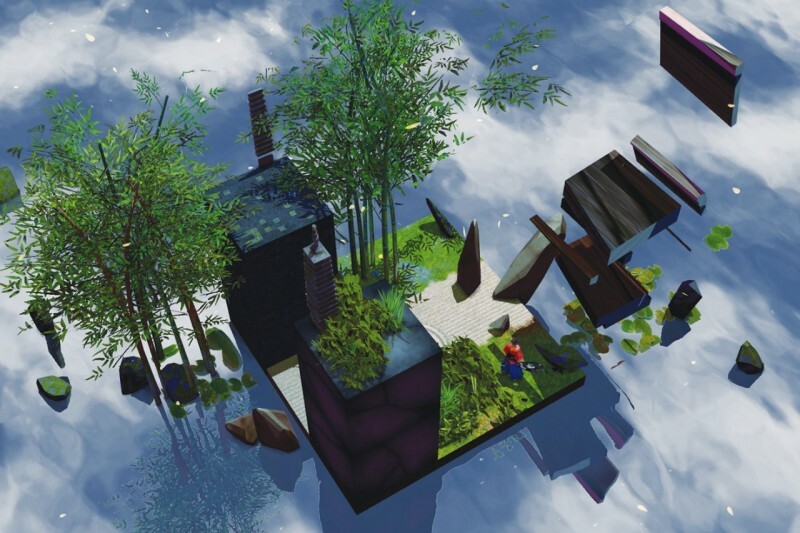 After reading Flatland: A Romance of Many Dimensions, indie game designer Marc Ten Bosch was inspired to create a game that would help people better understand the workings of the fourth dimension. 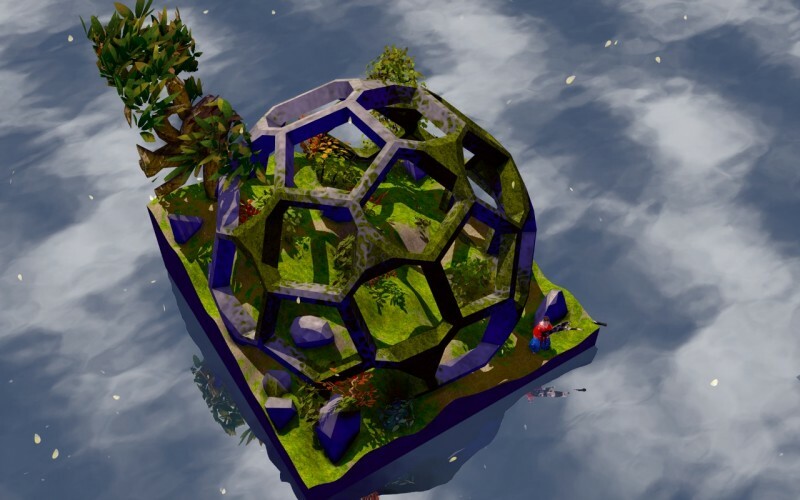 Miegakure has been in development for a long time, but it may be nearing completion, so we talked with Bosch about the challenges of creating a game set in a dimension outside our own and what he's doing to ensure that players don't get completely lost while exploring the multiverse. What's the most challenging aspect of programming a game like this? In general we have to generalize to 4D every concept we take for granted in other games. Almost no one has done this before, so we had to invent of lot of new tech for this game. For example, in a 3D game objects are represented by a bunch of triangles that create the surface of the object. In a 4D game the surface is represented using a bunch of tetrahedra! Similarly to represent the texture of an object, in a 3D game we use images, which are essentially 2D squares of pixels. In a 4D game we have to use images which are 3D cubes of pixels! What's your personal history? What got you into game design? I grew up in France. My first console was a Sega Master System and I owned most consoles since then. I always knew I wanted to be a designer and probably a game designer. As a kid, I filled tons of notebook with game designs. Each notebook was a strategy guide for a game that didn't exist. I moved to the US for college. I studied game programming at DigiPen and computer graphics and engineering at Brown. After that I briefly worked at EA, but I decided I wanted to make my own games so I showed a prototype of Miegakure at the Experimental Gameplay Workshop at the Game Developers Conference and people seemed to be into the game, so I kept working on it. What made you want to try to create a 4D game? That sounds like an incredibly taxing undertaking. I wanted to make an experimental game that combined my love of programming (especially computer graphics) and game design. I also wanted to make a game that would push the boundaries of what games can do. Computer graphics is fun because you get to make pretty pictures by writing code. In this case it's even more fun because the graphics and the gameplay are so intertwined. This is because a large part of the gameplay comes from understanding how to navigate a four-dimensional space, and that involves paying attention to the environment and the way it changes when you change where you are looking in 4D. As a player you look for landmarks and any cues you can find to understand what is happening. So the graphics are not just a backdrop, they are a large part of the gameplay. It's taxing in a way, because it's not an easy game to make (we have to generalize every concept we take for granted in other games, like representing shapes, texturing them, colliding with them, etc...) but it's also exactly what I enjoy doing, so why do anything else? Who is the main character in the game? What's his goal? The main character in the game is Kata. He lives in a village in a world that is a mix between European and Japanese middle-ages. One day, wanting to help a friend in trouble, he discovers that he has the ability to move along a fourth dimension of space. He does not know how he came to have this power, as no one he knows can do that, let alone know anything about a fourth spacial dimension. As he explores the fourth dimension he discovers that the world he is from is only one out of many worlds, all "stacked" along the fourth dimension. He also meets a few strange creatures for which moving in 4D is natural. Be able to move in 4D is disorienting at first, but it gives great powers. For example he can disappear at will, reach in or appear inside closed spaces/buildings without opening them, make objects seemingly float in mid-air, etc... As the game unfolds, his goal is to understand these powers and discover more about the 4D world he lives in. Who else has this power? Who are these strange 4D creatures? What have they left behind? On your website, you say that the fourth dimension isn't time. Why is that? People have often heard the phrase "the fourth dimension is time," but we can label dimensions however we want: there is no such thing as *the* fourth dimension, just like there is no *the* first dimension or second or third. In any case, it is possible to see time as some kind of dimension, one that works a lot like a spacial dimension; in fact that's the basis for Einstein's theory of relativity. But time is not exactly the same as a spacial dimension. For example, we experience time as always moving forward. The fourth dimension in the game works exactly like the first three spacial dimension we are familiar with, and so it is different from time. So if we wanted to give time a number, then we might say that in this game time is the fifth dimension. So this is not at all a game about manipulating time. Do you have any systems in place that will help players navigate this world and not get lost? How will you know which part of the world you're in and how to travel where you want to go? Of course! We worked hard to make sure players don't get lost. We build levels out of 4D tiles, in a similar way to how Minecraft's world is built out of 3D tiles. But unlike Minecraft we keep levels very small so that there is not a lot to keep track of. 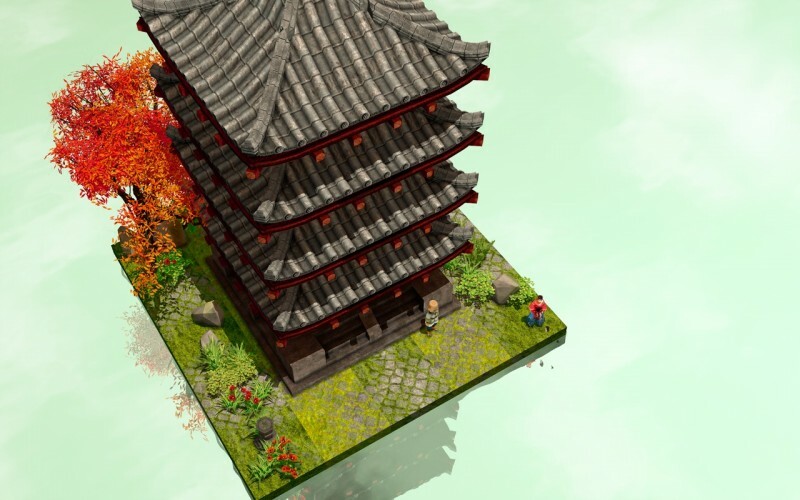 We put clear landmarks like trees and lantern that help players keep track of where they are. We also texture the ground differently at intervals along the fourth dimension: it turns out this makes 4D space look like a bunch of parallel universes, like in a game like Zelda: A Link Between Worlds for example. The difference is that there are usually more than two worlds, and you move between them in this strange way: there's a perspective where you see multiple worlds at once, but only part of each. As you play the game, if you pay attention to your environment and keep track of landmarks, you slowly understand how to move between the different worlds and how they overlap/relate to each other. Can you give us some examples of puzzles that might be in the game? Maybe something you haven't talked about before? Puzzles in the game try to showcase things you can do because you can move in 4D that would normally be impossible for a 3D being. So for example, in a level there is a temple which is closed-off in all directions. However, it's just a 3D building so it's not closed off along the fourth dimension! So you can enter it from the fourth dimension. 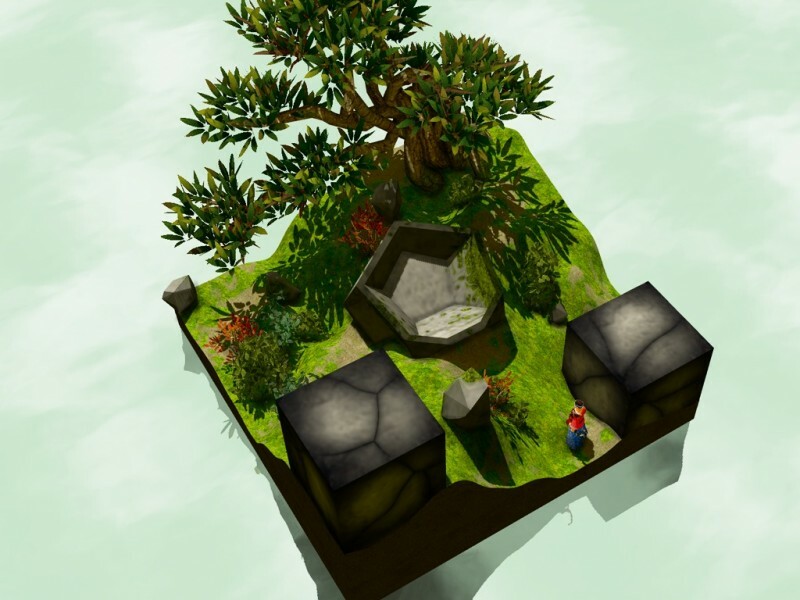 Inside the building is a moveable block, which you can then take with you and use as a platform to get to the goal, which is outside the temple. This level showcases how you can steal an object from a seemingly closed container without opening it. Another level has two large rings that start separate, and to get to the exit you must bind them together. It turns out that this is possible to do without breaking the rings by moving one of them into the fourth dimension and back! Something I haven't talked about before? If you turn something 180 degrees in the fourth dimension, you can actually turn it into its mirror image. So for example if you turned 180 degrees into the 4D, your heart would then be slightly offset to the right instead of to the left, any birthmark you have would change sides, your right hand would become your left hand, etc... One puzzle uses your ability to easily turn objects into their mirror image. How do you manage to keep how this game works in your head? As far as how to play the game, once you understand how it works it's fairly straightforward, and you do get better over time. You also don't have to understand every single detail of it to play it. As far as programming it, it works just like any other video game, except that instead of each object's position being represented with three numbers (x,y, and z), it's represented with four numbers (x,y,z, and w). If you set it up properly, a lot of the game code works the exact same way regardless of how many numbers there are. What are some of the coolest things we could do if we actually had access to the fourth dimension? I already talked about some of them when talking about the puzzles; being able to move in 4D would be super useful for a thief, from being able to disappear at will to being able to enter locked buildings and safes. You could also spy on people without them knowing. But it's not just about what you could do but also how much more varied a 4D world could be, filled with interesting shapes that could not exist in 3D. Things like knotted spheres for example. So much crazy vegetation, machines, sculptures, etc... could exist in that world! Marc Ten Bosch has been working on Miegakure for a long time. See the game in action back when we originally cover it in 2010.